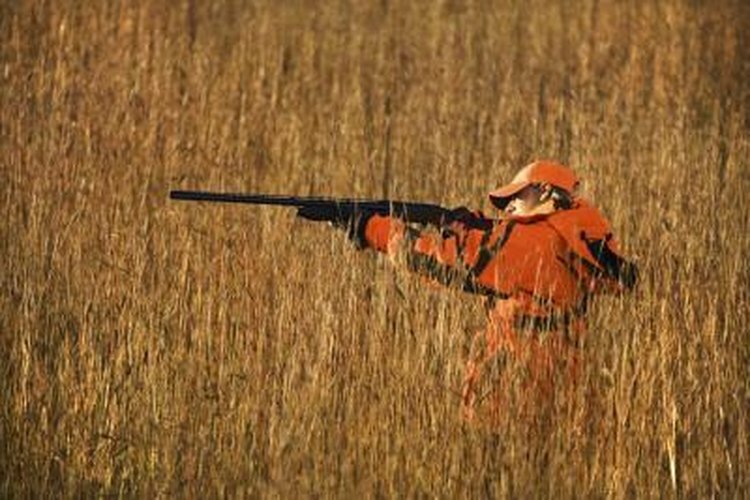 A hunter aiming his rifle in a field of tall grass. The most convenient place to obtain a North Carolina hunting license is the North Carolina Wildlife Resources Commission website. You can also get a license by calling the commission at 888-248-6834 between 8 a.m. and 5 p.m., Monday through Friday. Alternatively, you can find an authorized wildlife service agent in your area by searching the NCWRC website, NCWildlife.org. In addition to the cost of the license itself, a $2 transaction fee may apply to the purchase. Before obtaining a hunting license, prospective hunters over the age of 16 must pass a hunter safety course, or show proof of prior certification. However, hunters who obtained a license before July 1, 2013 are exempt from this requirement; individuals over 16 who possess a Hunting Heritage Apprentice Permit and accompany a licensed hunter are also exempt. Hunters under 16 do not need a license; they may hunt without a hunter safety course certification if they accompany a fully licensed adult, or on their own if they have completed the safety course. The hunter safety courses are free for hunters in North Carolina, and they have helped reduce the number of hunting accidents by 50 percent over the last 20 years, according to the NCWRC. While not strictly necessary, the Commission encourages new hunters to seek out a hunting mentor, who can help them learn safe hunting practices.